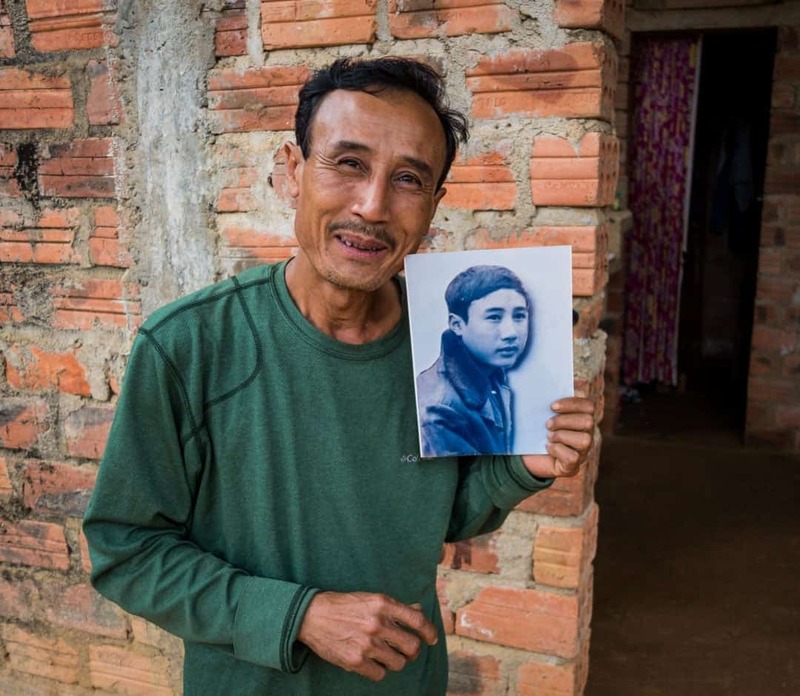 Leaning back in a plastic chair, thumbing an old candy wrapper in his leathery hands, Hồ Bằng Nguyên stares up at the frayed black and white photos on the wall of his vacant brick home in Phong Nha. He points up at one – an image of a young man with innocence and intrigue in his eyes, and smiles. “Viet Cong,” he exclaims proudly, then taps himself gently on the chest. “That was Mr Nguyen when he joined the Viet Cong,” my friend Bamboo translates. “He was a very good soldier.” Mr Nguyen nods in agreement, then stands up and grabs a teapot off his table. He kindly fills my empty cup with fresh green tea, and offers me a plate of biscuits. I graciously take one, and Mr Nguyen sits down again. I felt privileged to be able to communicate with Mr Nguyen despite my poor Vietnamese. I was his neighbour, living only three doors up from him in Phong Nha. He was the most well-liked and respected man in the village, something of a legend, whose warm smile greeted me every morning as I walked passed his house. “What’s his story?” I asked Bamboo, eager to learn more about the fellow everyone calls ‘Uncle’. Bamboo queried, and Mr Nguyen took a deep breath. In thoughtful and reflective sentences, he began to talk. Bamboo and I sat patiently while he explained his story. Born in Phong Nha in 1960, Hồ Bằng Nguyên had seen the area grow and develop in fascinating stages. 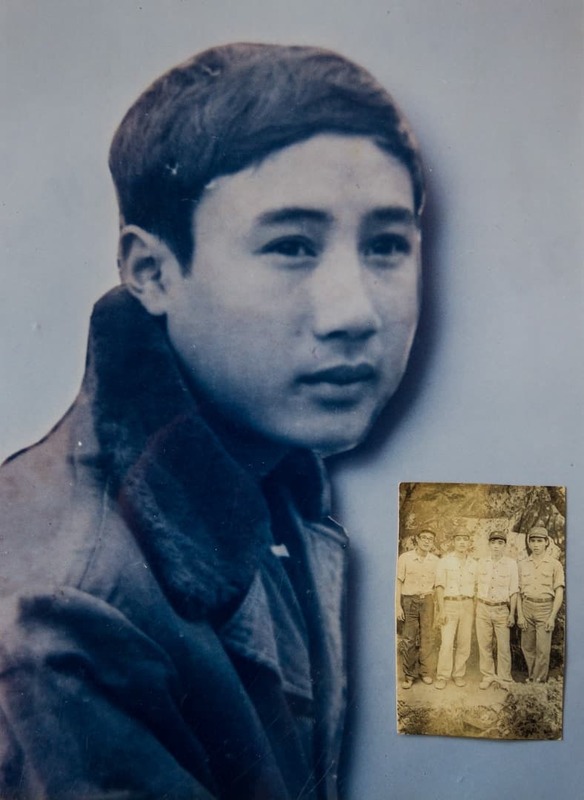 The oldest of 6 siblings, he was a just child when the Vietnam/American War started, and luckily survived the relentless bombings in the Quang Binh province. When the Americans retreated from Vietnam in 1975, Mr Nguyen, as he is fondly known, put all his energies into completing high school, with the ultimate dream of studying mining and geology at university. He unfortunately failed his entrance exams, and began to look elsewhere for opportunities. Mr Nguyen, at age 19, when he joined the Viet Cong. In 1979, with one war ending and another beginning, Mr Nguyen joined the Viet Cong and moved to Lang Son in the far North of Vietnam to battle against the Chinese. He fought strongly and was quickly recognised as an exceptionally talented soldier. He managed to gain the attention of some of the army’s most highly ranked individuals, and was earmarked for great success. 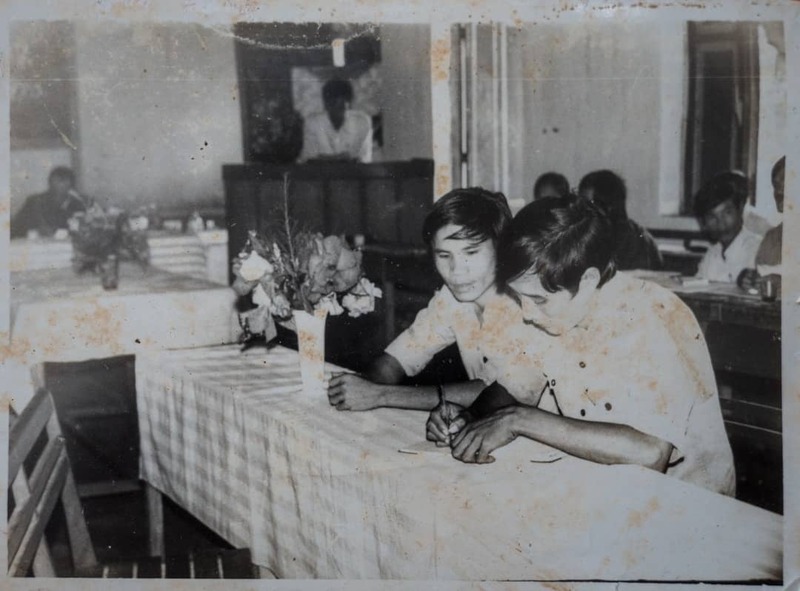 At the age of 22, Mr Nguyen was invited to become a part of the Communist Party Of Vietnam. At the time he was the youngest person ever to join the organisation. Before long he was named as a ‘Head Of Party’ – a huge accolade and a serious nod of approval from his superiors. As the Third Indochina War raged on, many veterans returned to Vietnam to take up various military roles in stations around the North. The young Mr Nguyen received a lot of criticism and torment from the older vets, who held little respect for someone of that age being in such a high-profile position. Rather than cause issues, Mr Nguyen decided to return to Phong Nha to continue working for the Communist Party in Central Vietnam. Back in his hometown, Mr Nguyen began to pursue his old dream of attending university. In 1983 he applied and was accepted into the Dong Hoi University, where he studied economics. Sadly that same year his father passed away. For two years Mr Nguyen tried to balance university and supporting his family back in Phong Nha, before he had to make the choice to abandon his dreams and return home to provide better assistance to those that needed him. Mr Nguyen became happily married and had a family of his own – 6 daughters and 1 son. For almost 18 years he worked in the jungle logging trees to earn an income for his children. In 2003 the Phong Nha-Ke Bang National Park was declared a UNESCO World Heritage Site, bringing logging in the area to an abrupt halt and forcing Mr Nguyen to seek out alternative employment as a farmer. Mr Nguyen, on the left, in his early life. While Mr Nguyen had been working in the jungle, he had developed a friendship with Howard and Deb Limbert, a couple of British caving experts who had been frequenting Phong Nha since 1990 on various expeditions. 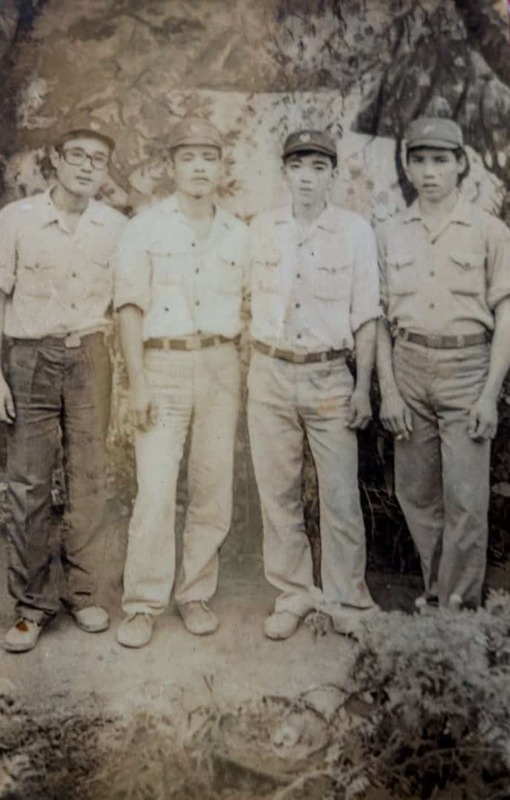 Mr Nguyen’s brother, Ho Khanh, had been assisting the foreign team in locating new limestone caverns throughout the area. When a larger trip came up in 2005, Ho Khanh recommended his brother as a porter, and the start of Mr Nguyen’s new career unknowingly began. 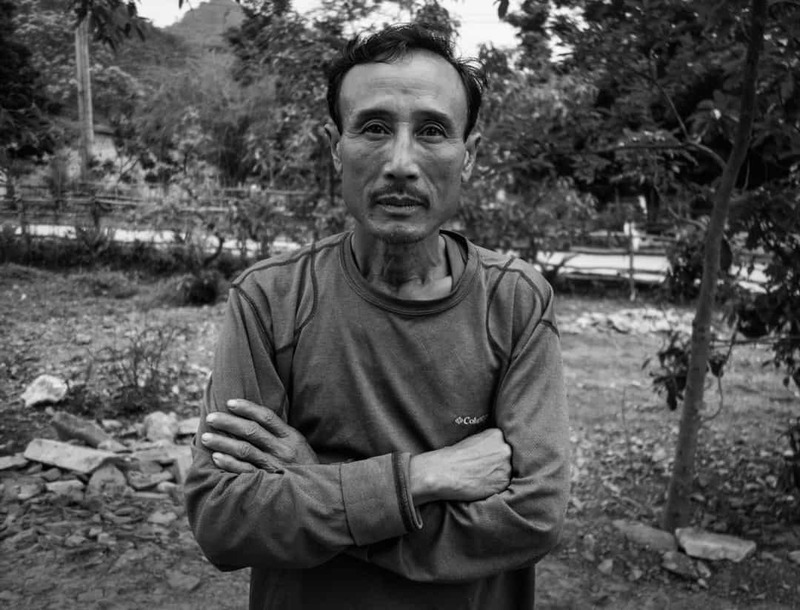 Mr Nguyen juggled farming and working as a porter on expeditions right through until 2008, when Hang Son Doong was rediscovered by Ho Khanh and subsequently explored by the British team. When the cave was determined to be the world’s largest, a wealth of potential instantly opened up for Phong Nha and the Quang Binh province. With the sudden influx of tourists to town, new opportunities were being created almost daily for the local people. Mr Nguyen managed to find a permanent job as a porter for an adventure tour company, but was unhappy with the way they were developing this booming industry. In 2011 Oxalis Adventure Tours officially opened, and Mr Nguyen excitedly joined the new business as a porter. Reunited with his friends from previous expeditions, he soon became one of the most respected people in the entire company thanks to his kind and caring nature and dedicated work ethics. When the first commercial tour to Hang Son Doong commenced in 2013, Mr Nguyen was named as the lead porter and became a mentor to the team of both young and old men from Phong Nha. He still holds this position with Oxalis today, and is considered one of their finest advisors. Mr Nguyen in his university days. Not all companies are made equal, however, and Mr Nguyen is troubled to see many new ventures opening up that are solely focused on profits, ignoring the impacts of tourism on the community and the environment. When this happens it creates a divide amongst the town, who struggle to determine which direction is the most sustainable to take. With his caring smile, Mr Nguyen points out that the local Vietnamese population in Quang Binh are very receiving of tourists, and that the troubles of the past have been forgiven and forgotten. “It is a different generation now. We all want love and peace, and to build positive relationships with our foreign friends. We finish our tea and I thank Mr Nguyen for telling me his story. He laughs, and shrugs it off with a friendly handshake. After months of living as his neighbour, I finally have an understanding of why he is so respected in the village. He puts his hand on my shoulder and says something in Vietnamese. “He says you can come back for tea anytime,” Bamboo translates. I am honoured, and hope I can take him up on his offer one day soon. Mr Nguyen’s life has been an incredible journey, and he continues to inspire the next generation growing up in Phong Nha. Revered by all who meet him, Mr Nguyen will keep being the strong leader that this region so desperately needs. Mr Nguyen proudly holding one of his oldest photos, outside his home in Phong Nha. Great story guys! I’ve been to Vietnam, but I guess I missed tea time! Sounds like a rare and enlightening experience, thanks for sharing it! An inspiring story and so well written. Thank you for asking the question and highlighting the need to tread carefully and choose wisely when travelling. Thanks so much Jane! It was a pleasure to know Mr Nguyen and to learn more about his story. What a wonderful article. Now I understand why he is so well respected. He really is a lovely man. Thanks Chris! He is such an amazing man. Wow, such a great story. What an honour to meet him! Absolutely right to consider the impact of tourism and make sure that it’s sustainable. I’ve been travelling all of my 59 years. Ghana, Nth Ireland, Germany, England and Australia by age of 4. Ten years growing up in Perth then 42 years in the Army travelling Australia and the world. Have served in PNG, Malaysia, Singapore, Timor, USA, Vanuatu, Africa and Afghanistan. My wife and I have trekked in Nepal and Nth Spain and have travelled through USA, UK including Scotland and Ireland. We plan to trek through Portugal and parts of the UK again next year. Would love to return to Nepal. There are parts of Sth and Nth Americas we’d love to see. Put a pack on my back and I’m happy.